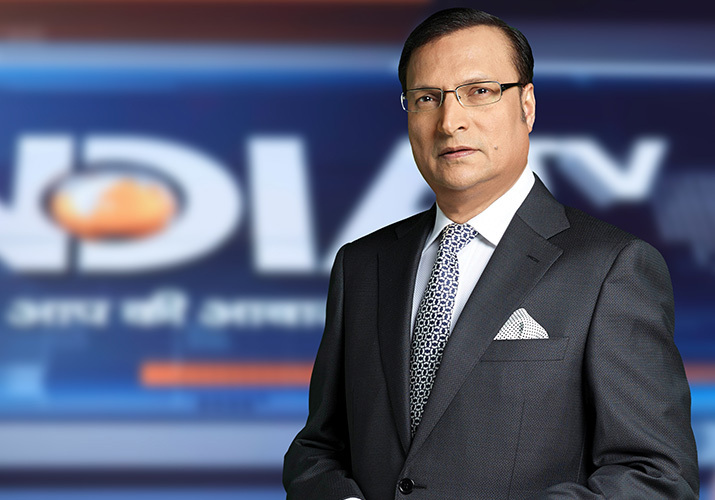 Opinion | Aaj ki Baat Dec 28 episode: Rajat Sharma on why Congress is worried about "The Accidental Prime Minister"
After watching the film, I can share with you the important scenes to underline why its trailer became controversial once it was circulated on social media. "The Accidental Prime Minister" could be the coming new year's most controversial movie, as it is completely focused on how former Prime Minister Dr Manmohan Singh ran his UPA government for ten years. The film gives you the inside story of the events that took place in the corridors of power. The film is slated for release on January 11, and I was one of those privileged who watched the entire movie a few days ago. After watching the film, I can share with you the important scenes to underline why its trailer became controversial once it was circulated on social media. Actor Anupam Kher had a challenging role to do in and as The Accidental Prime Minister. He has enacted on screen the exact modulated voice, gait and mannerisms of Dr Singh. It was more challenging because the character is not imaginary, nor is it of a historical figure. We watch Dr Singh in real life every day. The film is based on the eponymous book written by Dr Singh's former media adviser Sanjaya Baru. The book was released before the 2014 Lok Sabha elections, and the movie will now hit the screens, months before the nation will go to the polls to elect a new Lok Sabha. The Central Board of Film Certification cleared the movie on Friday. One thing I want to underline is that there is nothing indirect or symbolic about almost all the characters in this movie. The get-ups of most of the characters are almost similar to those of the leaders in real life. Anupam Kher has really toiled a lot in studying the gait, mannerisms and voice modulation of Dr Singh closely, and has enacted them on the screen. Akshaye Khanna has donned the role of media adviser Sanjaya Baru. German actress Susan Barnett has done the role of Sonia Gandhi. Being a European, she has exactly replicated the acquired Hindi accent of the leader. Ahna Kumar is Priyanka and Arjun Mathur is Rahul Gandhi. All these actors have tried their best to portray the characters as they appear in real life. The trailer of the movie clearly shows there was some sort of tussle between Dr Singh and Sonia Gandhi on some major issues. The movie portrays to what extent Dr Singh had to withstand pressure from within his party over the India-US nuclear deal. The movie also shows how Dr Singh was prevented from taking major decisions which were in the national interest, and when charges flew thick and thin over major scams, how Dr Singh's honesty and integrity were projected to shield the Gandhi family from accusations. The movie practically touches almost all controversies that took place during 10 years of UPA rule. Sanjay Baru is shown as the narrator throughout the film. In some parts of the film, he appears more as a political adviser instead of a media adviser. In the movie, Susan Barnett, ably portraying the role of the then Congress President and UPA chairperson Sonia Gandhi, clearly depicts the mannerism and accent of the leader. The movie reveals how Sonia Gandhi scuttled several decisions taken by Dr Singh, and how the party chief was trying to groom her son Rahul Gandhi to take over the mantle of Prime Minister. At one point in the movie, the party chief is shown telling the Prime Minister, what would be left for her son to decide, if he starts taking all the decisions. At another point, when Dr Singh offers to resign, Sonia Gandhi is shown telling him how her son could take over, with all the scams that have taken place. Most of the happenings had been duly recorded by Sanjaya Baru in his book that was published five years ago, but the impact seems to be more on the screen. The movie also showcases the famous event at the Press Club of India, when Rahul Gandhi tore up a copy of the ordinance passed by the Union Cabinet, in front of the media. It also shows an incident where Sonia and Dr Singh are involved deeply in a discussion over a policy issue, and Rahul Gandhi, appearing disinterested, seems to be playing a game or watching a video on his cellphone. Actors who have played the roles of Atal Bihari Vajpayee, L K Advani, Ahmed Patel and P. Chidambaram have also portrayed the characters well in the movie. Anupam Kher is happy with his portrayal of Dr Singh in the movie. He told me in an interview on Aaj Ki Baat that this has nothing to do with politics, the main opposition party Congress has strongly protested. Congress leaders have demanded that the release of the movie be stalled, as, according to them, there are many objectionable scenes denigrating some particular characters. The BJP is gleeful, and its official Twitter handle, which posted the movie trailer, garnered more than 3.84 lakh views within a few hours. Maharashtra Youth Congress chief has sent a letter to the film producer, threatening to obstruct the screening of the movie. Congress leaders are alleging that this movie is part of a propaganda by the BJP. I know the film director Sunil Bora personally. He seems to have no political connections, and even if he has, nobody can deny him the right of free expression. I will like to remind Congress leaders how they had opposed restriction on screening of the movie Udta Punjab. Congress president Rahul Gandhi had himself opposed restrictions on the Tamil movie Mersal by tweeting: "Mr Modi, Cinema is a deep expression of Tamil culture and language ..Don't try to demon-etise Tamil pride by interfering in Mersal." Instead of staging protests, the Congress should allow freedom of expression, and the party should do some serious introspection.